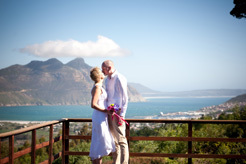 Plan the most important day of your life with us and celebrate your wedding in a wonderful unique ceremony at the Dreamhouse which provides the finest wedding ambience in Cape Town. 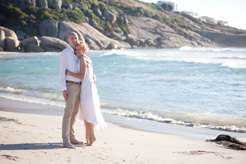 Beside it allows you to focus on your very special day without anything to worry about and we promise you to arrange the wedding you always dreamed of. It is up to you if you prefer to have a cheerful dinner with your closest family members and your friends or if you would like to have a romantic candle-light- dinner for just the two of you. We offer catering from 2 to 40 people and our host Ivanka and her team will assure that excellent cuisine, exquisite selection of wines, luxuriant flower arrangements, elegant decoration and the breathtaking surroundings will delight you and your guests.